A miracle removable putty that holds securely in place valuable status, crystal, glass, vases and more from accidental breakage, theft and earthquakes. Proven to deter theft and breakage, yet removes easily with a twist. It works! It's so simple!Ready to use * Holds 40 plus items * Removable * Reuseable * Works on woodExcellent for: Antiques * Collectibles * Plates * Glassware * Statues * Figurines * Vases * Crystal * Pottery * Pictures * Bottles * Steins * in RV's & Boats too * The uses are endless!Collectors Hold! Works Best On: Glass Shelves * China Cabinets * Lacquered Wood * Furniture * Time * Painted Gloss Wood and Walls, etc.Contains 2.64oz of product Removable, reusable and non-toxic Museum Putty secures antiques, collectibles and more from falling and breaking. Pull off amount needed, roll it in your fingers until soft, apply to base of object. Lightly press object to surface. Remove by twisting and lifting from base. 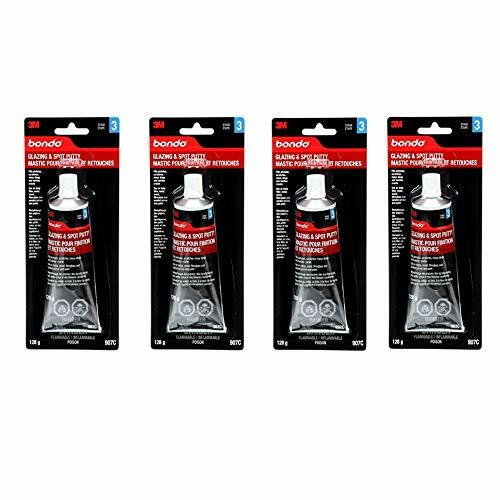 Comes off clean, works on most surfaces and walls. Won't damage furniture. Brand: Quakehold! | Manufacturer: Quakehold! 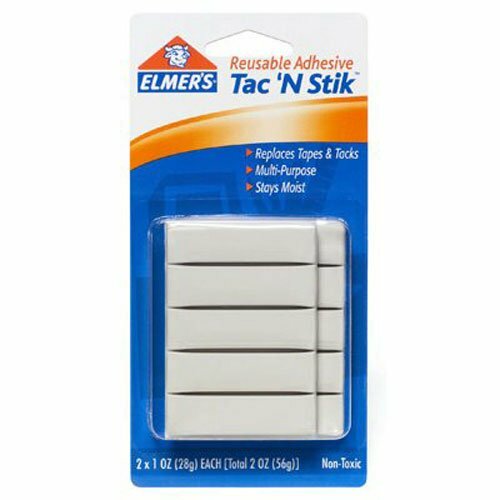 Hang maps, posters, paper decorations, and other lightweight items with Elmer's Tac N Stik Reusable Adhesive. The multi-purpose, colorless adhesive putty stays moist after application and is designed to be removed and reused for commitment-free decorating. Elmer's Tac N Stik is non-toxic and works best on doors, walls, refrigerators, and other non-porous surfaces. The easy-to-use formula replaces tacks and tape for great hanging results. Sticky Putty is a versatile putty tak that is reusable perfect for keeping items down or up during earthquakes. The Museum pack was designed to hold down collectibles to prevent them from falling or tipping. It comes in a 3oz pack with 4 long strips of Tak cover in release paper, this allows for easy access and storage. One of the key components of Stick Putty is that the Tak never drys allowing it to be used over and over again. Holds up posters, cards, certificates, notices, party decorations, maps, calendars, messages, learning aids, childrens paintings, etc. Replaces magnets on stainless steel appliances. Holds in place telephones, mouse pads, pens, candles, figurines, vases, calculators, ornaments, etc. Sticks extremely well to non porous surfaces such as metal, glass, plastics, vinyl coated and painted surfaces. Also sticks well to paper, boards, cloth and wood. As a disclaimer, we ask you to use common sense when deciding the weight of the item you wish to secure. 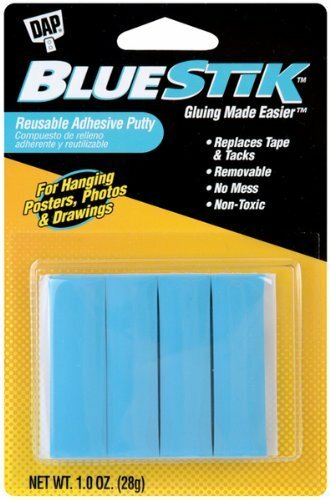 Blu Tack Reusable Adhesive Bostik Blu Tack is a handy putty-like reusable adhesive. Use it to stick, seal, conceal, hold, and position a variety of items. Perfect for sticky jobs around the home, office, at school and for hobby and craft work. Bostik Blu Tack is a great modelling material. Use it to mold, sculpt, and stick. Preparation Blu Tack is ideal for non-porous surfaces such as glass or metal, painted surfaces and vinyl coated wallpaper. Ensure surface is clean, dry, free from grease and loose materials. Make sure hands are clean before handling Blu Tack. 1. Posters Cut 3cm piece, remove release paper from one side an affix to surface. Remove the release paper on one side, apply to one surface, then remove the other release paper. Using good thumb pressure, apply to the other surface. Blu Tack works because its pressure sensitive so the more even pressure you apply the better the bond. 2. Objects Make a blob by tearing off a piece, pull and stretch into a ball and apply to one surface. Removing Blu Tack Blu Tack works on walls because its pressure sensitive so its important to carefully roll it 0ff. Any remaining shreds can be removed by roll or dabbing with another blob of Blu Tack. If Blu Tack has been on a surface for sometime, dab with Citrus based stain remover to soften, then roll off carefully. Sometimes, Blu Tack can leave a faint oily mark that can be easily removed by using a citrus based stain remover. Blu Tack can be reused. Simply roll into a ball in your hand and massage to get it pliable and apply Use BluTack to.... Tack posters, memos, signage, or notices on walls, windows, or equipment. Tack-up cables, electric and phone cords to keep them from tangling and out of the way. Secure display cards on counter tops. Hold down telephones or modems on desktops and counters. Fasten electrical outlet surge strips to the floor. 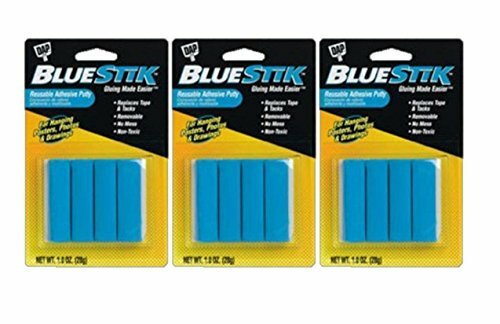 Bostik Blu-Tack is the is the original reusable adhesive. It is permanently plastic and pliable (it can be readily formed into any shape) and each pack comes with strips for ease of use. 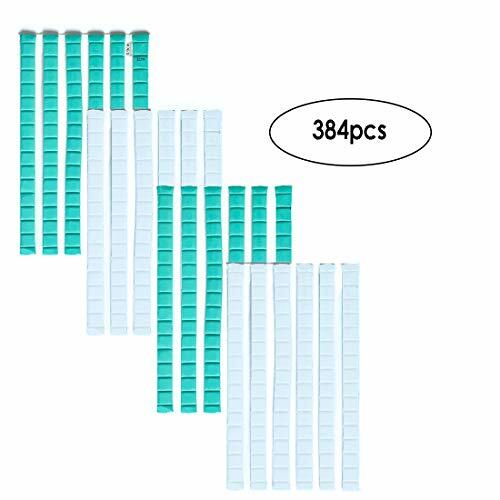 In the blue-only pack there are 4 strips each approximately 3/4 inch wide x 8 inches long and in the color pack there are 5 strips each approximately 1/2 inch wide x 8 inches long. Create 3 dimensional models. Hold candles in place in holders. Remove dust from awkward places. Pick up dropped screws or nails. Attach screw to screwdriver to get to hard places. Hold figurines in place on the window sill. Use to reduce noise vibration. Hold markers in place on white board. Clean computer keys. Hold speakers in place on speaker stands. Graphite artists can use as a graphite eraser or magnet. Keep picture frames from shifting around on wall. Hold end of measuring tape on wall when measuring long runs. 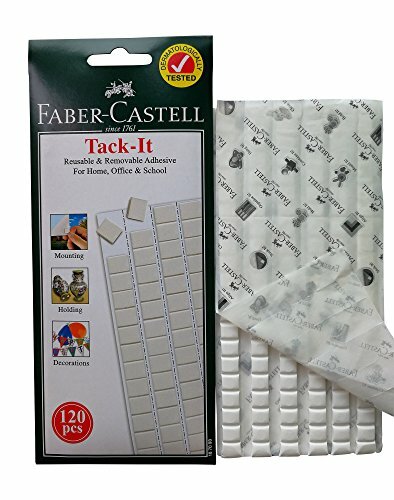 Tack-It Reusable Adhesive is a handy putty-like removable adhesive. Use it to stick, seal, conceal, hold, and position a variety of items. Perfect for sticky jobs around the home, office, at school and for hobby and craft work. Tear off amount from ready made square cut, place between surface to stick, press hard until it sticks onto the surface. To remove, simply roll it off the surface. Removed Tack-It can be reused. 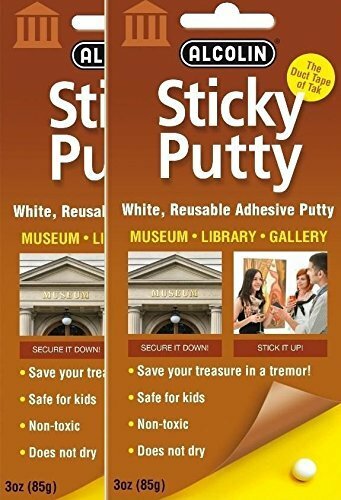 [Super Sticky and Reusable]Tacky putty are made of non-toxic material with strong adhesive power.Hold up things well and Stay in right place.Leave no damage to your wall. 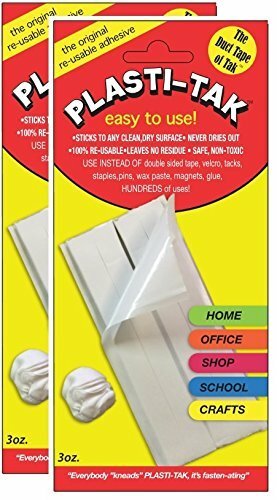 [Wide Usage]Sticky tack putty are perfect for sticky jobs around the home, office, at school.A perfect tool to hang children's artwork on the refrigerator, sticking memos to the phone, or sticking recipes, party decorations and greeting cards to the wall. [Application]Mounting putty are suitable for most surfaces such as wood, tile, metal, plaster, plastic, porcelain.For stick firmly we suggest that 10 squares for photo frame lager than 10 inch and 6 squares smaller than 10 inch. [Easy to use and Remove]How to use---Take a small piece of putty and knead it on the palm of your hand to make it soft and viscous, and then place it on the back of the object and press it firmly on a clean, dry surface. How to remove--Simply roll it off the surface. [Package Size]Adhesive putty comes in 1 pack including 94 blocks,each block approximately 1cm/0.4" x 1cm/0.4"0.3cm/0.1''. Inedible products, please keep them away from children. Mainly used for pasting lighter things. [Super Sticky and Reusable]Tacky putty are made of non-toxic material with strong adhesive power.Hold up things well and Stay in right place.Leave no marks or stain on the surface. [Wide Usage]Sticky tack putty are ideal for hanging pictures, posters, notes, ornaments, memos, children's artwork, party decorations.Not suitable for glass or fragile things.A perfect tool to fix your art craft or nail art.Get rid of making holes on your clean wall.Spark your imagination and creativity to use it just you wanted. 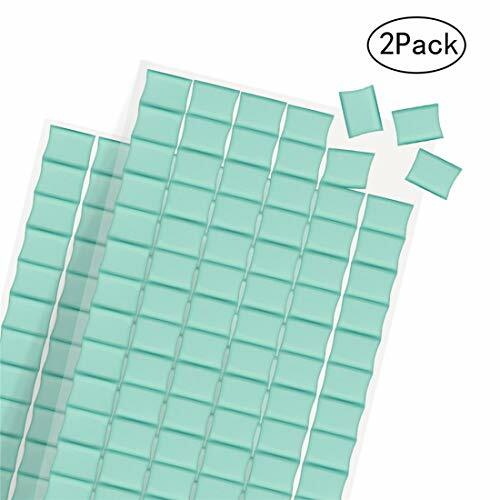 [Package Size]Adhesive putty comes in 1 pack including 94 blocks,each block approximately 1cm/0.4 x 1cm/0.40.3cm/0.1''. 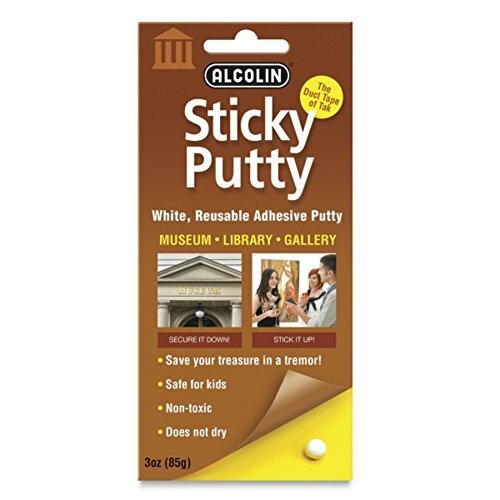 This 3 oz pack of Alcolin Museum & Gallery Sticky Putty is a reusable adhesive that's completely safe and easy to use. 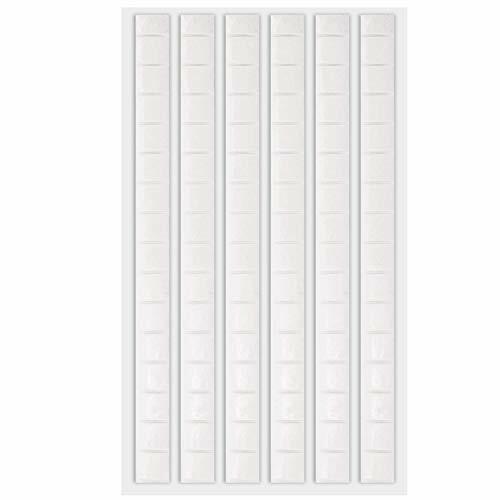 Perfect for securing figurines, collectibles and ornaments, or stick up posters, maps and calendars. You can even use it to remove dust from electronics, retrieve small hard to reach objects, or hide a key. Adheres to non-porous surfaces like metal, plastic, glass, wood, cloth, paper and vinyl. This is an ideal grease- and hole-free alternative to messy tapes, glues, push pins and nails. Can be used over and over again if stored in the protective sleeve. Plasti-Tak The Original Re-usable Adhesive Putty- "The Duck Tape of Tak" Never Dries Out, Hundres of Uses! The Original Plasti-Tak is a versatile putty tak that is reusable perfect for keeping items down or up during earthquakes. This putty pack was designed to hold down office supplies, posters, maps, calendars, etc to prevent them from falling or tipping. It comes in a 3oz pack. One of the key components of Plasti-Tak is that the Tak never drys allowing it to be used over and over again. REUSE HUNDREDS OF TIMES WITHOUT IT DRYING - Plasti-Tak can be used hundreds of times, and for long periods of time without it drying out or losing its adhesive properties! Get the most bang for your buck with this adhesive putty! SAFE FOR USE ON A VARIETY OF SURFACES - Plasti-Tak is safe for use on metal, glass, wood, painted surfaces, plastic, mirrors, etc. but generally performs the best when used on non-porous surfaces, like the ones listed above. 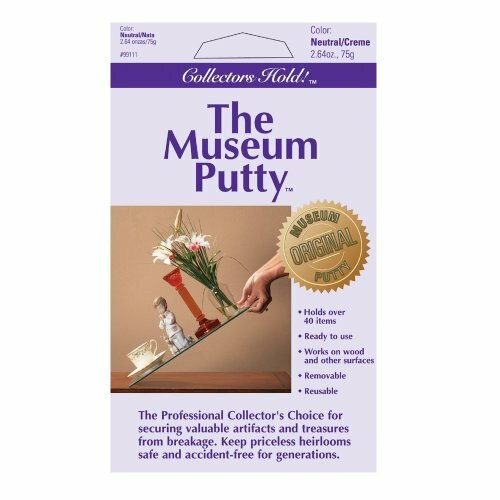 SECURE A VARIETY OF ITEMS SAFELY - This putty is the perfect solution to putting crafts together or holding figurines, collectibles, important treasures, etc. in place. Just stick some putty on the area that makes contact with the surface and set it down. SAFELY HOLDS ITEMS FOR LONG PERIODS - Plasti-Tak is museum and art gallery quality putty. It doesn't leave a residue or bind to the surfaces too much and is perfectly safe to hold lightweight items for a long time without you having to worry about damage! QUICK AND EASY TO USE - Simply stick the putty to the item that you want to secure and place it on the surface that it's supposed to be on! Use it in school, the office, for crafts, in the shop, etc.! Why should choose Holotap reusable mounting putty? Adhesive tacky putty are made of non-toxic material with strong adhesive power. Hold up things well and Stay in right place. Leave no damage to your wall. Use it to stick, hold, and position a variety of items. Perfect for sticky jobs around the home, office, at school and for hobby and craft work. Small parts, inedible, keep away from children when you use them. Buy Holotap products 100% quality assurance, 30 days no reason to return or replacement, 100% money refund! Why Choose the Holotap brand? Welcome to Holotap, we focus more on research, development and quality. This is the reason why you should trust us. We are a brand that focuses on quality and even a lifelong customer support to ensure the best possible user experience. REUSABLE & REMOVABLE: Mounting putty is made of non-toxic material with strong adhesive power. It can work for a long period and will not dry, leaves no vestige after tearing off from smooth surfaces. WIDE APPLICATION: Multipurpose use in Office, Home, school. 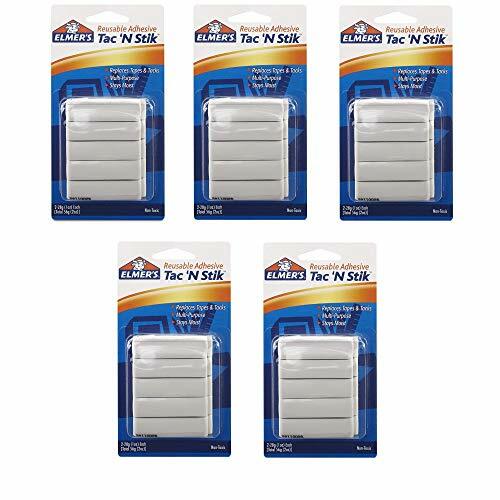 Sticky tack putty are ideal for hanging pictures, posters, notes, ornaments, memos, children's artwork, party decorations. EASY TO USE: Take a few poster adhesive putty and knead it on the palm of your hand to make it soft and viscous, and then place it on the back of the object and press it firmly on a clean, dry surface. NOTES: The adhesive tacky putty is mainly used for pasting lighter things or temporary pasting decorations. Please stick to any clean, dry surface. Not recommended for use on flocked or loose wallpaper and on peeling or fresh paint. QUALITY ASSURANCE: We'll replace or refund any Holotap mounting putty that break within 1 year of purchase. If you have any dissatisfaction, please feel free to contact us and our team will be happy to help you. 2. Versatile for office, home, school. Wall hanging poster. Adhere paper and small objects to most materials and surfaces, including wood, tiles, glass, metal, plaster, plastic, porcelain, cinder blocks, hanging pictures, etc. 3. It can work for a long time without drying; easy to use and disassemble, keep the surface clean and tidy, will not damage the wall; can be reused, repeated kneading to make the thick putty become strong. 4. It's a great gift for your family, friends. We main high standards pursuit of 100% customer satisfaction! And we guarantee to provide the best quality of each product, eliminating the bad ones. If you are not completely satisfied with your purchase FROM MALUAN, we will FULL REFUND guarantee without any questions, and our friendly customer service team 24 hours are waiting for helping you. For use: Versatile for office, home, school. Wall hanging poster. Adhere paper and small objects to most materials and surfaces, including wood, tiles, glass, metal, plaster, plastic, porcelain, cinder blocks, hanging pictures, etc. Please note: please keep it away from the kids. 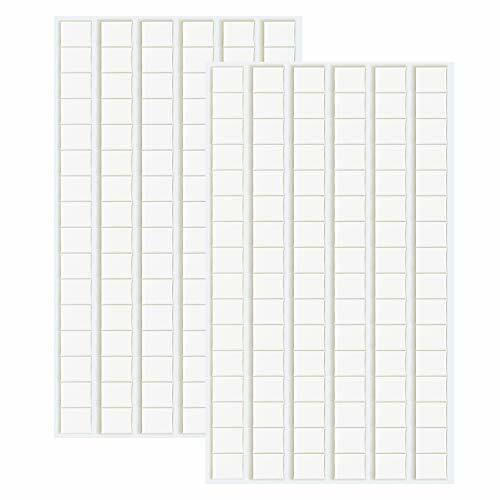 Function: Use them to hang poster, photos, artwork, use for displays, party decorations, use in motorhome, classroom, office, home, great product for you to replace the hanging items constantly. The effect of viscosity will become better and better, when you stretch and knead the adhesive putty. [Package Included]Adhesive putty comes in 1 pack including 94 blocks,each block approximately 0.4" x 0.4" x 0.1" (1cm x 1cm x 0.3cm). 96 Pieces sticky tack putty. APPLICATION: The Mounting putty is suitable for most surfaces such as wood, tile, metal, plaster, plastic, porcelain. In order to stick firmly we suggest that 10 squares for photo frame lager than 10 inch and 6 squares smaller than 10 inch. 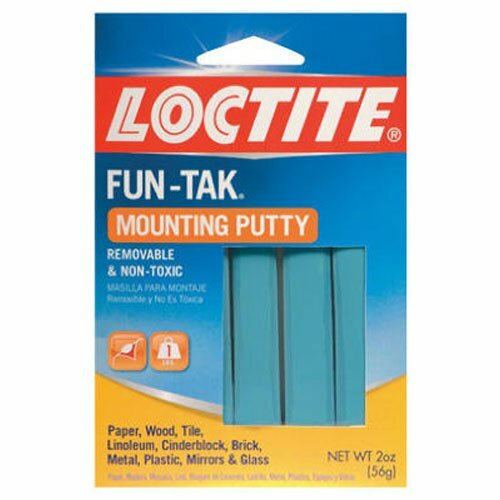 WIDE USAGE: Sticky tack putty is ideal for hanging pictures, photo frames, posters, notes, ornaments, memos, children's artwork, party decorations. It's Not suitable for glass or fragile things. It's also a perfect tool to fix your art craft or nail art. Get rid of making holes on your clean wall and spark your imagination and creativity to use it just you wanted. 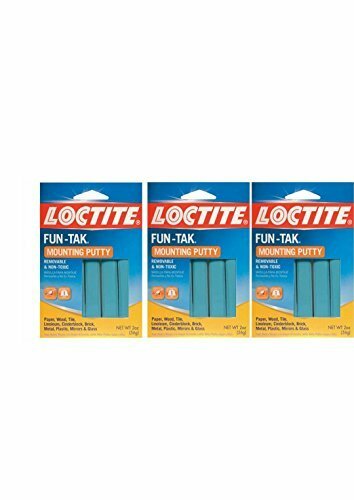 SUPER STICKY AND REUSABLE: Made of non-toxic material with strong adhesive powder, the tacky putty holds up things well and stay in right place, leave no residue or marks on the surface. EASY TO USE AND REMOVE: Easy to use - Take a small piece of putty and knead it on the palm of your hand to make it soft and viscous, and then place it on the back of the object and press it firmly on a clean, dry surface. Easy to remove - Simply roll it off the surface. PACKAGE INCLUDED: 94 blocks in 1 pack on the package, dimension of each block is approx. 0.4 x 0.4 x 0.1 (1cm x 1cm x 0.3cm).